Still hunting for a gift for the animal-lover in your life? 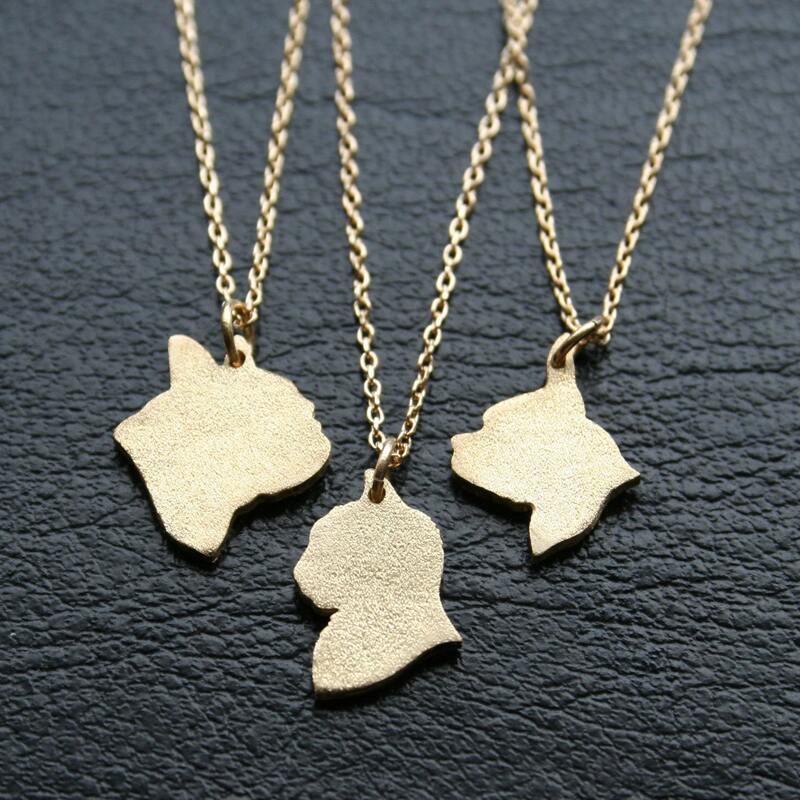 Check out the adorable line of necklaces and portraits from the California-based SilhouPETte! With french bulldogs, poodles, boston terriers, chihuahuas, and even custom portraits you’ll be sure to find the breed you need for the perfect present. Wear the sweet .5″ charm facing your heart to love and protect you. The charm is offered here in gold-plated, with a matching gold-filled 18″ flat cable necklace. Each piece has a signature “silhouPETte” tag in coordinating metal. When I started creating silhouPETte gifts a couple years ago for Christmas, I saw how touched my friends were when they opened their presents. Reactions usually included long hugs and tears.I’ve printed silhouPETte on everything from our standard museum-quality gallery wrapped canvas, kitchen accessories and canvas totes, to high quality glass bottles where I engraved two separate silhouettes of a pup and his dad to encourage and promote green living.I created a silhouPETte of my cat, Silkey, before she passed in September after being part of the family for 18 years. Now she’s in all my samples, she’s sitting on my desk, she’s in my car, and she’s displayed throughout Los Angeles in the best and most posh pet boutiques. I feel like she never left. silhouPETte is a constant reminder of the absolute unconditional love a pet gifts us with every moment we are in their presence.